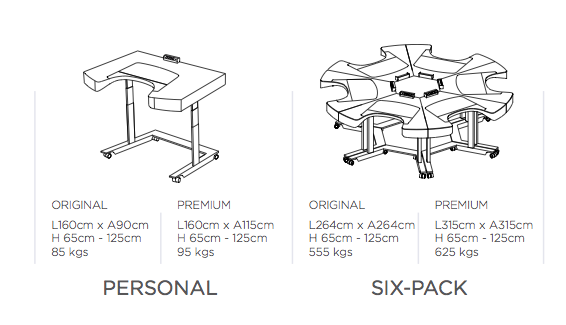 The ERGON DESK® has been designed for innovative and team working workspaces, so it helps improving users productivity by facilitating: Continuous team collaboration, and Healthcare at work personalized for each user. 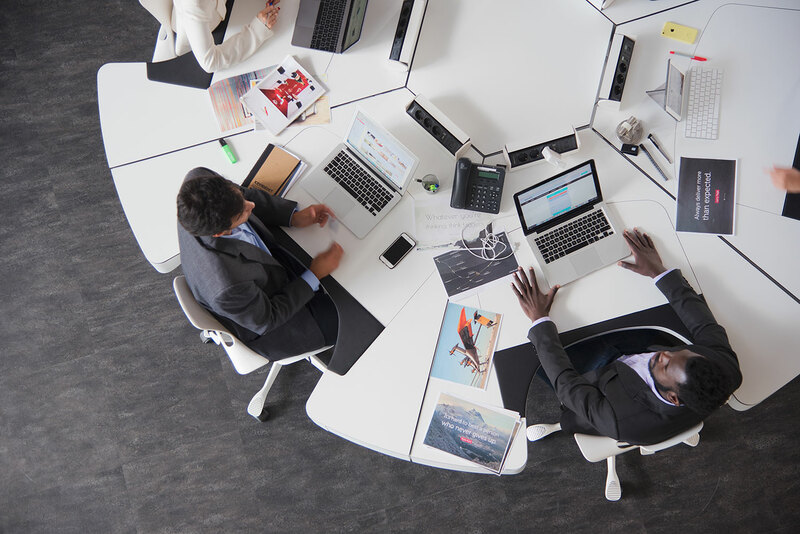 A higher interaction within the workspace improves team collaboration quality, and therefor productivity, boosting group creativity and increasing time efficiency. 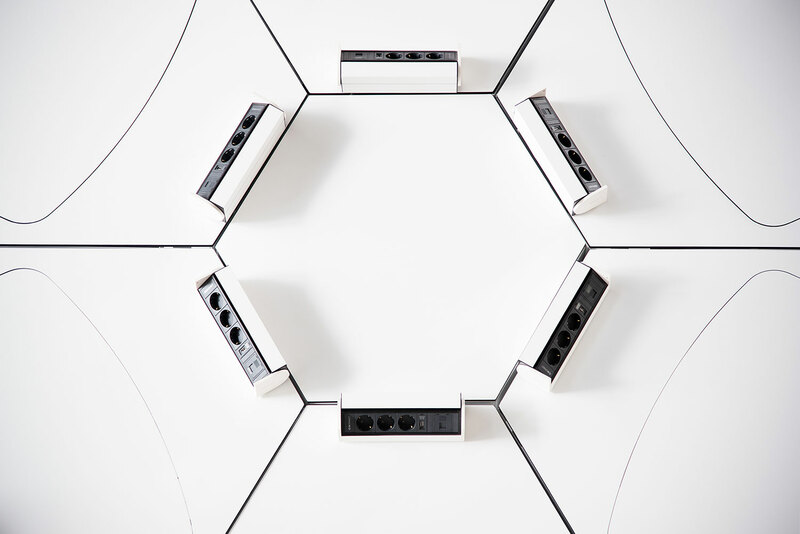 The Ergon is the first workplace system designed modularly for adapting to continuous collaboration, combined with a smart App that includes “Agile meeting mode”, which automatically sets the the workplace for a quick standing group meeting. Sedentarism (more than 10h sitting average per day in the US) is responsible for most of absenteeism around the world. 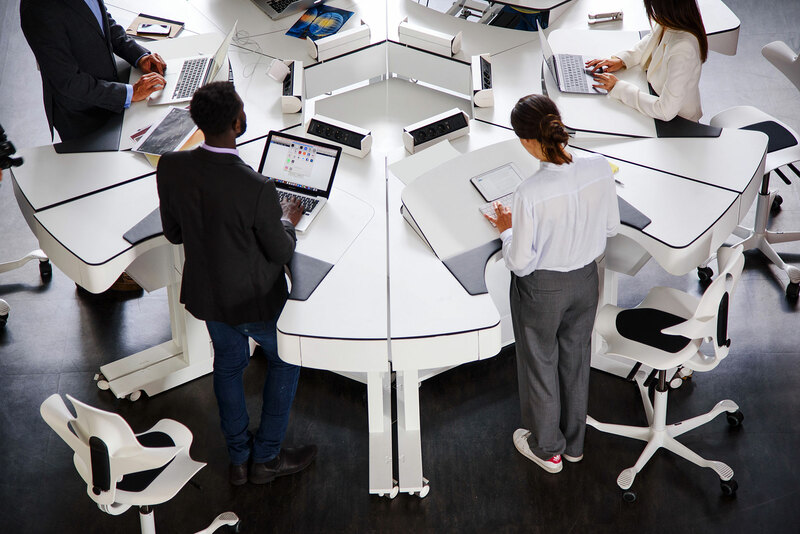 The Ergon Desk integrates a sit-stand smart App that provides personalized recommendations based on user data and working habits, for improving both physical and mental conditions within the workplace. 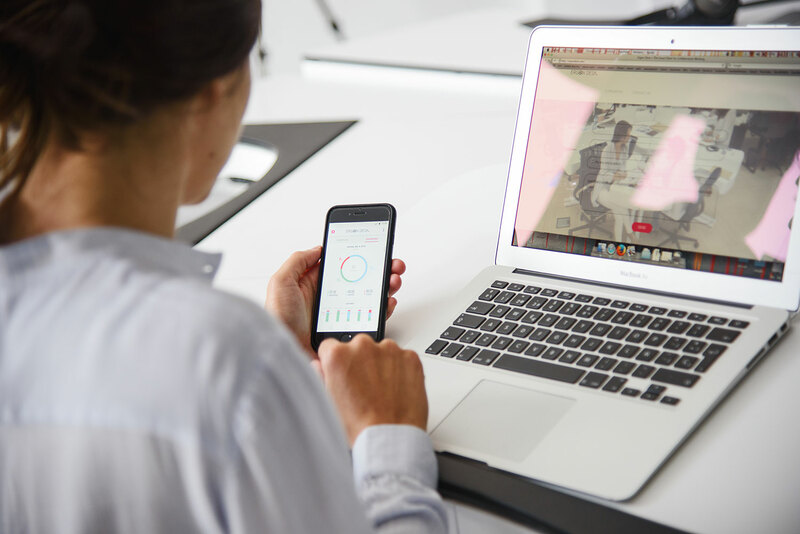 Collaboration depends directly on visual contact, in fact 70% of communication is non-verbal, which means that a lot of information is being lost in remote working and meetings. We believe that the only way to guaranty an effective collaboration is maintaining eye contact among team mates 100% of the time in the office, both in the personal and team working environment. 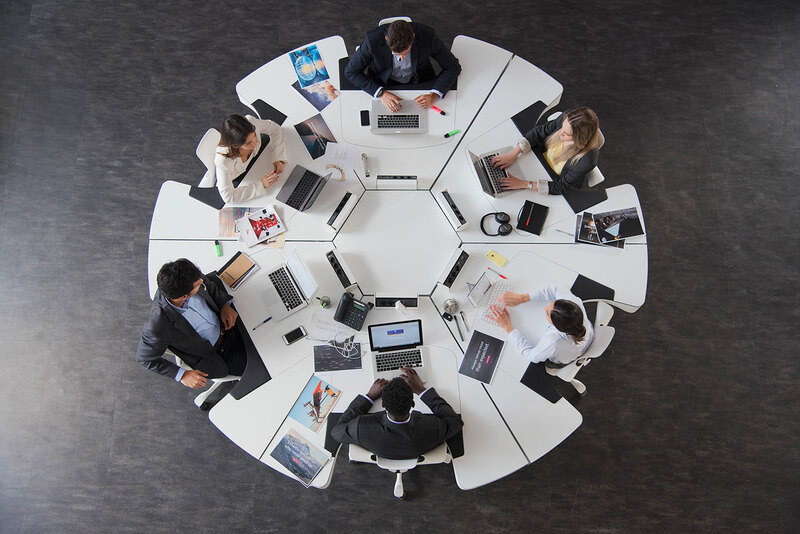 “Agile meeting mode” automatically sets a team working posture among a group of Ergons, which implies standing up everyone for a 15 minutes period of time. This facilitates in an agile and easy way the perfect environment for a quick, productive team update. By default, the Ergon brings everyone back to its original position after meeting mode. 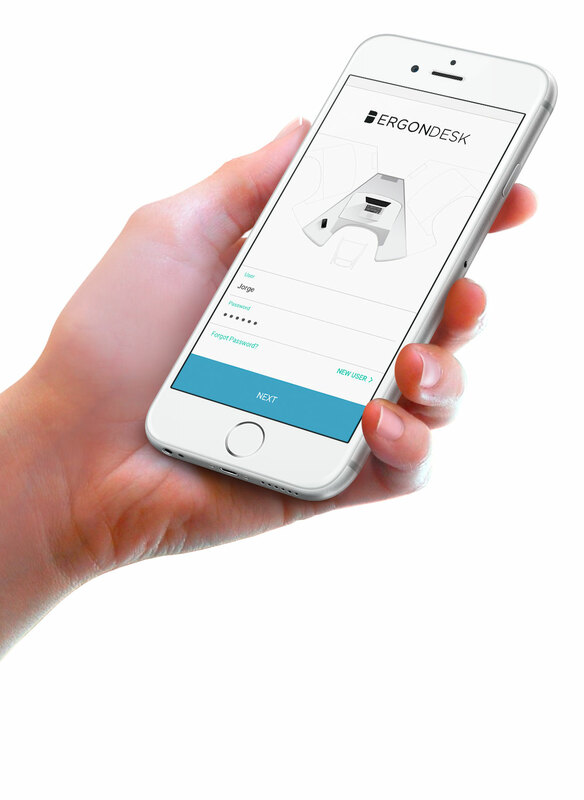 Ergon Desk is Bluetooth equipped and communicates with the Ergon mobile App installed in your personal device. Through its posture changing recommendations it can help you burn up to 20.000 calories as well as fight some of the negative implications of sedentarism. 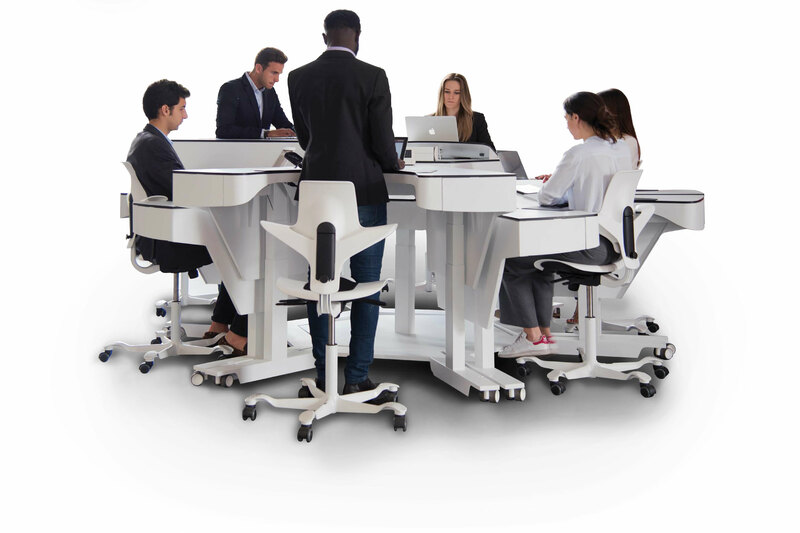 Ergon Desk® advanced technology includes artificial intelligence algorithms that recognize working habits from each user both during the morning and the afternoon and personalize changing posture recommendations in order to achieve healthy working days. Experts consider that 25% of the day should be the minimum to be spent standing during a workday, doing 3-5min breaks every hour. Ergon Desk app takes these parameters as the minimum, and pushes the user to get to its best standing times. The user is the center of the Ergon, surrounded 180º by the desktop, with access to the maximum possible surface. With its integrated App, the Ergon learns from the user working habits and recommends changes of posture. The Ergon proprietary electric tilting desktop allows portable devices’ screen height adaptation to any working posture. Through it’s work disposition and workplace design, it can save up to 38% of office space consumption from traditional settings. 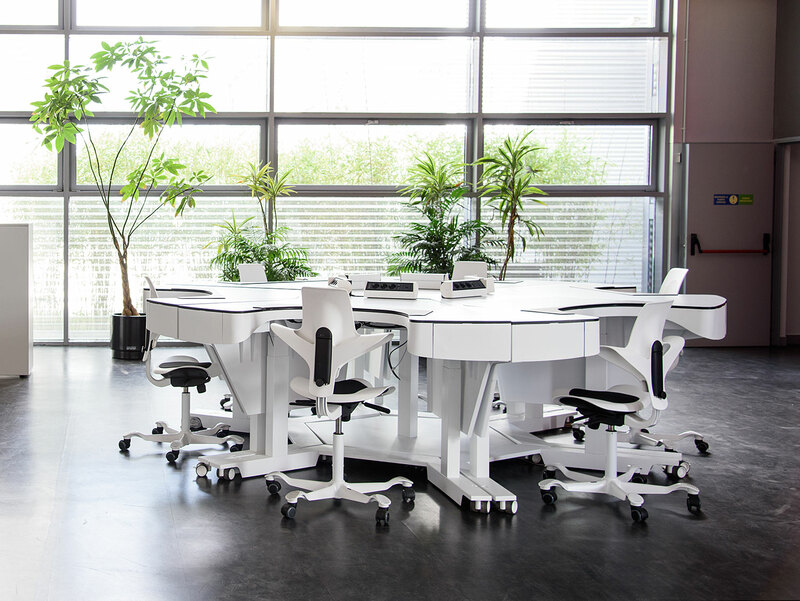 ERGON DESK® is a brand from PYNK SYSTEMS, a tech start-up based between Madrid and San Francisco, founded by David Mata (architect) and Carlos Riquelme (data scientist). 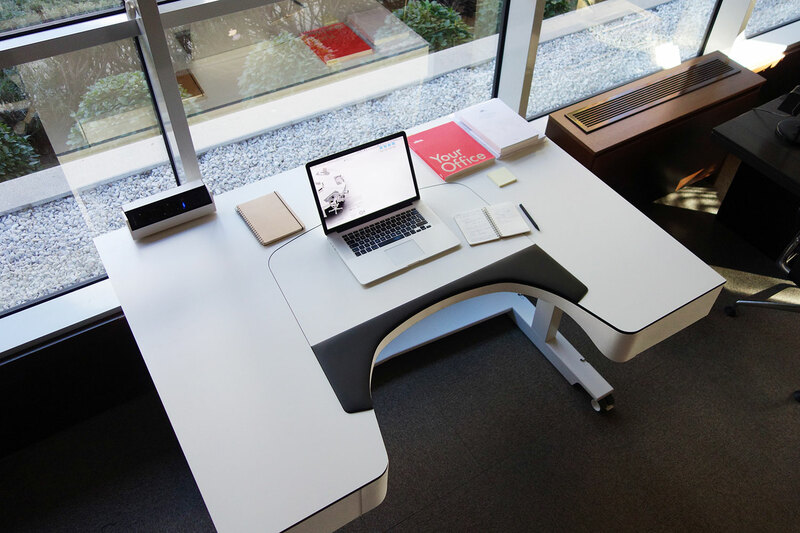 They have developed a new concept of sit-stand and smart office desk that boosts productivity in collaborative environments, by learning about its user habits and recommending changes of postures, breaks and agile meetings. It is formed by a team of 5 designers and computer scientists and has been awarded with the EU Youth Entrepreneurship Award 2014 by AmCham EU & JA-YE Europe, the Hyundai Motors Brilliant Young Entrepreneurs 2014 Award, and the TAG-HEUER Infinite and Groundbreaking Innovation 2014 Award. It is currently present in the Europe and the US markets. David Mata is Founder and CEO of PYNK SYSTEMS, he studied a Master’s Degree in Architecture between Madrid and NYC, attending programs in EPS-CEU, MIT and Syracuse University, and obtaining “Distinction” in his Final Thesis. He has started several projects related to R&D in Architecture. Carlos Riquelme is Founder and CTO of PYNK SYSTEMS, he owns a PhD in Computational and Mathematical Engineering in Stanford University and a M Sc in Mathematics in the University of Oxford. He has collaborated in the research departments of companies like Adobe Systems, Facebook and Twitter in California.